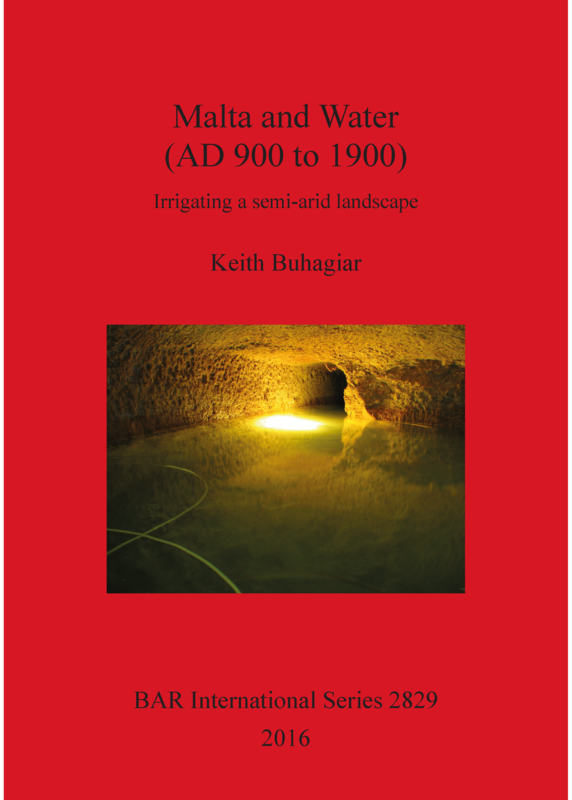 This book synthesises archaeological and historical research in order to investigate Maltese water management technology in the Medieval, Early Modern and Modern periods, more specifically between AD 900 and AD 1900. Maltese terrestrial geological formations and stratification are a determining factor in conditioning the formation of subterranean aquifers, water-harvesting and storage, landscape development and utilisation. Central to this publication are reservoirs, cisterns, wells and perched aquifer galleries, which have for centuries provided farmers tilling arable land with a supplementary water source other than the limited and erratic seasonal rainfall. The data and conclusions presented in this book are the result of extensive personal field and archival research and include an assessment of the available documentary sources of evidence, including place names and cartographic sources. Comparative research suggests that a number of perched aquifer subterranean galleries share common characteristics with the qanat technology of the Islamic and Roman worlds and, in a Maltese context, were possibly part of a new agricultural and technological package introduced during the Muslim or post-Muslim period between the eleventh and the fourteenth centuries AD. Keith Buhagiar is a PhD graduate in archaeology from the University of Malta specialising in rural landscape development, related water management systems as well as Maltese and Sicilian medieval and Early Modern cave-settlements. Dr Buhagiar lectures in palaeochristian and medieval archaeology at the Department of Classics and Archaeology and the Faculty of Theology, both at the University of Malta. Research interests include central Mediterranean, North African and Near Eastern water management systems, Late Roman and medieval subterranean burial spaces, cave dwellings and rock-excavated oratories, as well as Mediterranean settlement location and distribution.